Also button positioning - top particularly?! ..and if you look at the fade mark from the patch, the outerstitch is a completely different size like it has had a hap-hazzard attempt at stitching a different patch over the top to cover up the previous patch. Spotted lots of big E garments in an official Levi's store in Athens Greece. Never before seen big E for sale in this country. Accidentally seen Levi's-Filson trucker jackets few years ago and picked up one almost for free. Most of the garments I saw today had big E tabs. I asked the person in charge there for more information but it seems that she had never noticed before that the E's were big or small. The answer was that some other garments garments just have a small R on them and that is normal. Don't worry they are not knockoffs! So I did not continue the conversation. She was staring me while I was looking around and checking the numbers on the buttons so after that I couldn't take any picture. The price of a trucker jacket is 60 euros. 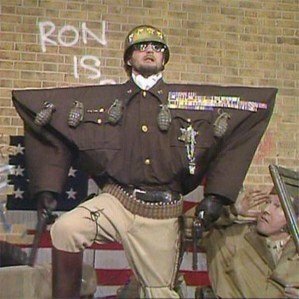 Does anyone know if there is a big E comeback? i will go for another Levi's spotting day and hope I will be able to get some pictures. And they are no items from the Levi'S Vintage Clothing line? 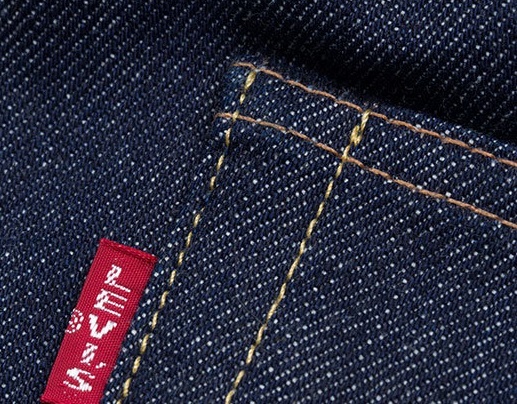 Levi's own repro line? Because those come with a big E and maybe they are getting rid of old stock? Were they on sale or regular price at 60 €? I know what you are talking about. There were never big E items officially for sale in this country. Only accidentally between other items. I will be back with more information. I will also check at an outlet store trying taking some photos. Levi's has closed its plant here years ago and offices are closed 2 or 4 years ago. Items are imported by authorized independent importers. from all over the world They also import other brands. Other brands of course are not for sale in the same store. So you can find from everything to nothing. Prices sometimes are very high and sometimes items are almost free. So I avoid chatting with sellers because they start learning and then the prices go up. I remember years ago I had a chat with a guy there an then he asked me if i was interested getting hired to check for fakes and so on. So i prefer not to talk to them but i was surprised this morning. Do they have inner labels? Are the patches leather or card? Do any of them have hidden rivets? I must go and check again wearing glasses. i have to tell that (I do not wear glasses for reading etc) but store is a little bit dark inside as all Levi's stores. Just to let you know. I went to the outlook store which is the half than what it was last time I visited the place .No big E items available. (Actually they never had big E' items for sale). Everything almost out of stock. i spoke to the lady there. She told me that the last time they supplied the store with items was 6 moths ago. So that means almost nothing available.. Hope they will be there the next time I visit the outlet. Maybe tomorrow, definitely next week I'll visit the store in Athens down town. Ok these were the only photos I could take. Then the lady approached and she remembered me.. A strange big E trucker jacket. There were other big E premium edition available items Sorry for the bad pic. Cell phone is not good for closeups. Searching the internet I found the Premium edition items but no official information. 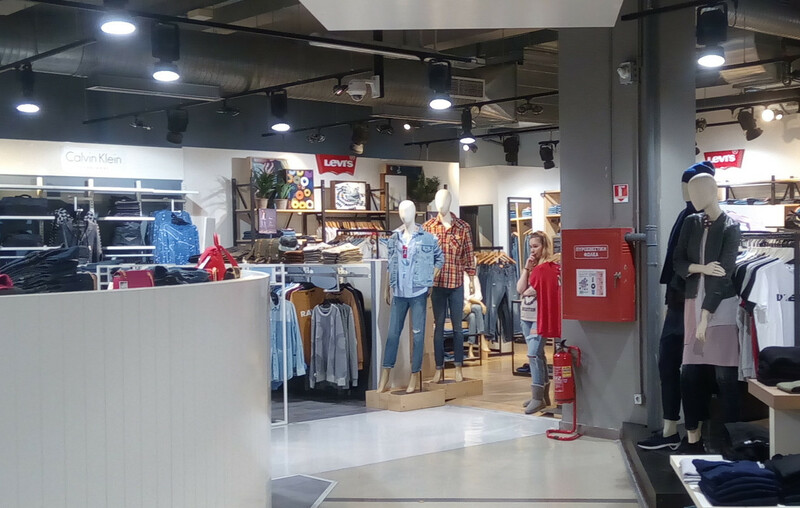 I have noticed that in Europe during this last year Levis shops have started to carry "Levis Premium Edition" line with big E red tabs. Also Levis Made & Crafted have started to use blue tabs with big E.